in stringency (27%) since the beginning of the California energy code. If you have. done any type of construction -from a simple tenant improvement to a major renovation you may have felt the impact of this most recent adoption . These new requirements that are not market-proven, accepted in the building code, and in many cases not vetted for their intended use by the building and inspection trades, have proven to have real cost increases, in many cases to a factor of four over what the Energy Commission based its adoption on. Light controls have driven prices up $4-7 per square foot just in material cost. Installation of the mandatory controls is coming in about $3-4 a foot based on the project design. Mandatory acceptance testing depending on project size is $1,000 minimum . Mandatory engineered drawings (around a $1 square foot on average). Light fixture costs are up 10-20% based on mandatory dimming features. HVAC costs are going up due to necessary control upgrades also. This is a huge expense driver and is having unintended consequences once these new costs are calculated. This “sticker shock,” in some cases, is causing planned energy upgrades to be abandoned altogether. In other instances, companies are wastefully being required to replace lights that have never been used and are only a couple years old. A primary goal of California Long-Term Energy Efficiency Strategic Plan is to reduce greenhouse gas through energy efficiency. The greatest opportunity to reduce energy consumption in commercial buildings is to improve the energy efficiency of existing commercial buildings, and the commercial real estate industry supports efforts to cost effectively improve energy efficiency in California’s commercial buildings and emphasizes that the Energy Commission should focus their efforts on reducing the already drastic cost impacts of the 2013 Standards by offering reasonable alternatives for compliance, dialing back some of the requirements that are proving not to be cost effective, and focusing more efforts on education and training . We have offered the Commission opportunities to “ground truth” assumptions that were used during the original adoption, and we hope they will look at the actual economic impacts of the regulations and see if they align with what was presented during the adoption to assure they are indeed cost effective. Our industry believes that a realistic cost-benefit analysis and adopting only regulations that are truly cost effective are essential in assuring the state continues to be a leader in energy efficiency while not hurting project viability or dissuading some projects from happening because of high costs and low-energy savings. Furthermore, many of the calculated cost savings on many of the latest Title 24 changes will never be realized, because they are 10-year or longer payback periods (which, in many cases is longer than the useful life of the upgrade itself. 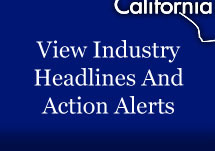 On behalf of the commercial, industrial, and retail real estate sectors, we will continue to work with the state regulators in an effort to assure that California continues to set the national benchmark on efficient buildings while making sure those standards are cost effective, technologically feasible, and attain able by businesses in this state.